The race honours the northern sprinting stalwart, who actually only won once at Musselburgh but was second three times, including twice when just touched off in ‘his’ race after it was renamed. He famously won the Nunthorpe at York, of course - and while there might not be a current or future Group One winner in this year’s renewal, if there is one that might knock on the door at some stage it is the John Quinn-trained El Astronaute. He was extremely busy last season, and rarely let the side down before deservedly bagging a Listed prize in France on his final outing. The Approve gelding is obviously made of tough stuff and would not be the first sprinter to really come into his own as a six-year-old. Whatever his future holds, he is certainly good enough to be winning a race like this. Maulesden May has claims for Keith Dalgleish in the Like Racing TV On Facebook Handicap. Three outings here have seen a win and a second for the six-year-old, who is turning out for the first time since his runner-up finish in October. 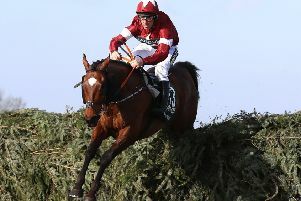 Still feasibly handicapped, he is well suited by a sound surface and there appears no reason why he will not stay this extra furlong and a half. Dalgleish has his string in good nick and can also strike with Saint Equiano in the racingtv.com Handicap. This one disappointed last time out at Southwell, but had previously looked an improved performer when winning at the same Nottinghamshire track, so is worth another chance. 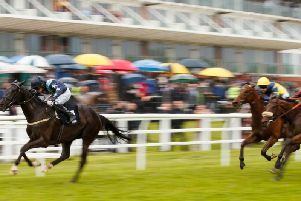 Our Place in Loule finished last term in top form, and the dual course-and-distance winner should surely play a part in the Join Racing TV Handicap. Lille stands out as one of the best bets on the card at Lingfield in the Ladbrokes Home Of The Odds Boost Handicap. Her first run for Kevin Ryan following a switch from Richard Hughes - and also wind surgery - was quite a taking one, with victory at Southwell. With just three outings to her name, it is highly likely we have not seen the limit of her ability just yet. Singing The Blues has won his last three, and there is no reason to oppose the four-timer in the Betway Heed Your Hunch Handicap. Rod Millman’s four-year-old has gone up almost a stone in all since his winning spree started - but he appeared to improve for the step up in trip at Wolverhampton last time, and may well do so again as he tries two miles here. Blood Eagle can be fancied to get off the mark at the third time of asking in the Betway Novice Stakes at Wolverhampton. The Andrew Balding-trained colt made a nice enough debut at Chelmsford in January, before heading to Lingfield a couple of weeks ago. He did little wrong, but had the misfortune to bump into one in the shape of Cirque Royal, who looks rather smart. Compensation awaits. Elenora Delight has earned her top weight in the Sun Racing Handicap - and after a break since her January victory at Kempton, she has obvious prospects of defying the burden. LINGFIELD: 2.00 Lille, 2.30 Forced, 3.00 Creek Harbour, 3.30 Corncrake, 4.00 Field Gun, 4.30 Singing The Blues, 5.00 Make Good. MUSSELBURGH: 2.15 Alminoor, 2.45 Pammi, 3.15 EL ASTRONAUTE (NAP), 3.45 Saint Equiano, 4.15 Maulesden May, 4.45 Spirit Of Lund, 5.15 Our Place In Loule. WOLVERHAMPTON: 5.25 Traveller, 6.00 Zapper Cass, 6.30 Spiritual Man, 7.00 Blood Eagle, 7.30 Withoutdestination, 8.00 Elenora Delight.